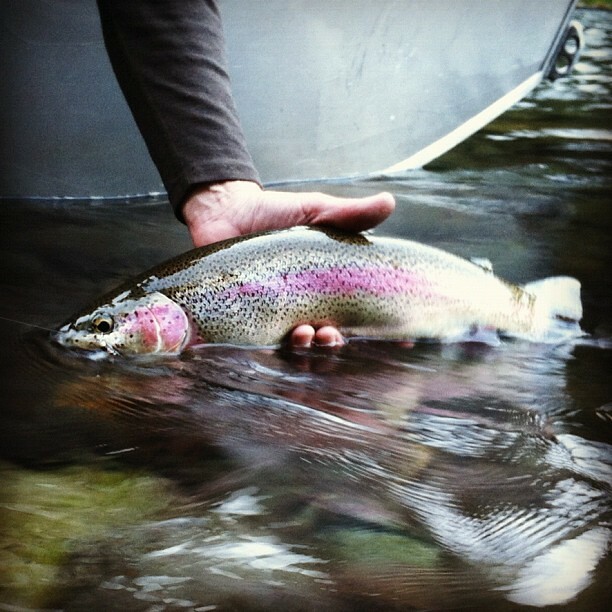 We’ve recently updated the fly tying page for McKenzie River Trout patterns. While we’re sure these will work on lots of other watersheds, this page really reflects the rhythms of our local fishery. Going through the library and updating new patterns, deleting some with broken videos, I noticed that the emphasis is really on catching big wild trout, and having the most possible fun doing it. Lots of March Brown patterns for the upcoming season, lots of big, fluffy stoneflies for wild trout on the upper river, big buggy nymphs for crawling the deep corners. Check out the patterns and as always, leave your suggestions: McKenzie and Willamette River Trout Patterns. Also, be sure to check out some of our earliest videos featuring shop owner Chris Daughters himself, tying trout flies. It’s hard to imagine, but we’re coming up on five years of Oregon Fly Fishing Blog! This entry was posted in Fly Tying, Fly Tying Materials and Supplies, McKenzie River. Bookmark the permalink.